Riotgrrl – the explosion of cultural feminism in the early 1990s – doesn’t tend to get called a wave of a movement. It felt like one though, building on 1970s/80s DIY culture and reacting against 1990s lad-culture with dense walls of noise. In some ways it had more in common with the Spice Girls message of self-actualisation than the so-called grunge world it emerged from. 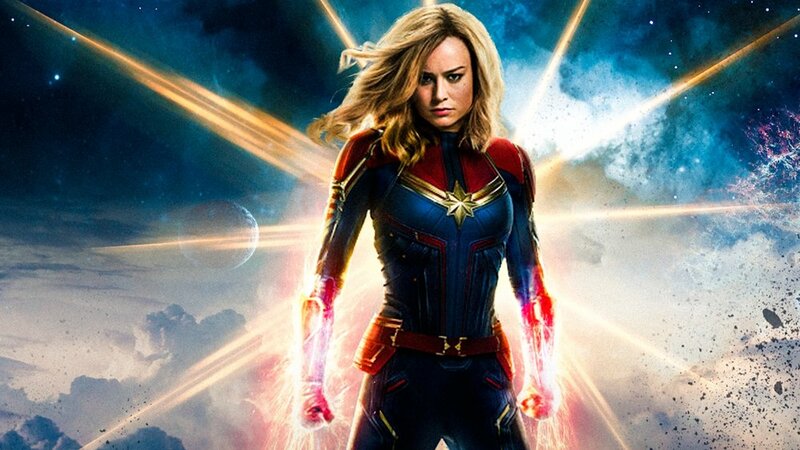 Captain Marvel, the latest film in the Marvel universe,is set in those times. “You look like someone’s disaffected niece – lose the flannel,” Nick Fury tells Carole Danvers as they are investigating a secret military base. When the trailer appeared with Elastica’s Connection over the top, I was instantly back at the second stage in Glastonbury in, yes, a flannel shirt. I quickly created a playlist on spotify of songs I could imagine would be in the film, if they’d picked Elastica. When I saw it last week, I was rather pleased to have picked out Garbage, Hole and No Doubt. There’s also PJ Harvey posters on a wall, but no actual songs by her. What’s interesting is not only the nostalgia elements but how it draws out the systemic barriers women faced. And by showing them in the past the film allows us to both see the progress, and realise so many still ring true now. Vers – Danver’s new alien self – is constantly told to repress her emotions. That the emotions make her weak, that showing emotion is bad. When she decides to stop that self-limiting approach – the moment when she rises again, and again, and again – is powerful. Carole Danvers starts bringing her whole self to work, and it connects to how many women are finding their voices and no longer limiting themselves.